Thanks to the modularity concept of TRACE32, the tools are designed around base modules which are universal and architecture-independent. 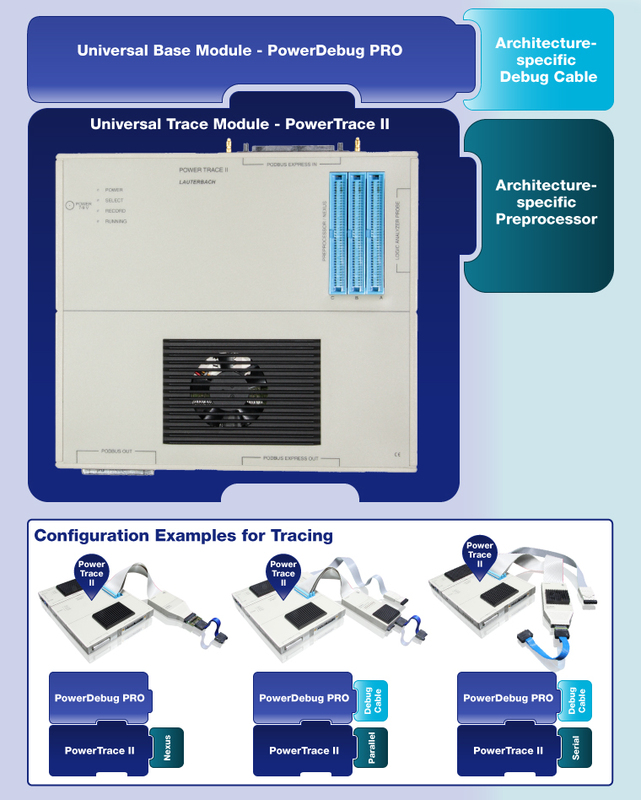 PowerTrace II as a trace module is connected to the target via architecture-specific Preprocessors. 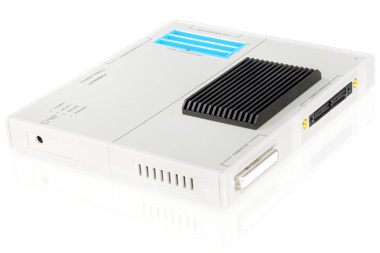 In order to obtain the connection to the host PowerTrace II is supposed to be extended with the PowerDebug PRO. The following picture shows configuration examples for PowerTrace II. In addition to the regular trace features PowerTrace II can be used as a 17 channel logic analyzer with the provided Standard Probe for transient recording, simple triggering, protocol analysis etc. With the TRACE32 Analog Probe which could be ordered seperately the voltage and current values can be measured for energy profiling.